The detailed craftmenship of our rooms & suites, will have you feeling like you are staying in an old kazi durbar, with all the perks of the contemporary comforts. Our nobility had a taste for fine products from Europe, hence, the executive rooms have Illy coffee from Italy for you to start and end your day. All rooms are non-smoking with smoke detectors in place. Each room also has details of the emergency escape plans including Fire escape routes, keeping your safety at the forefront. 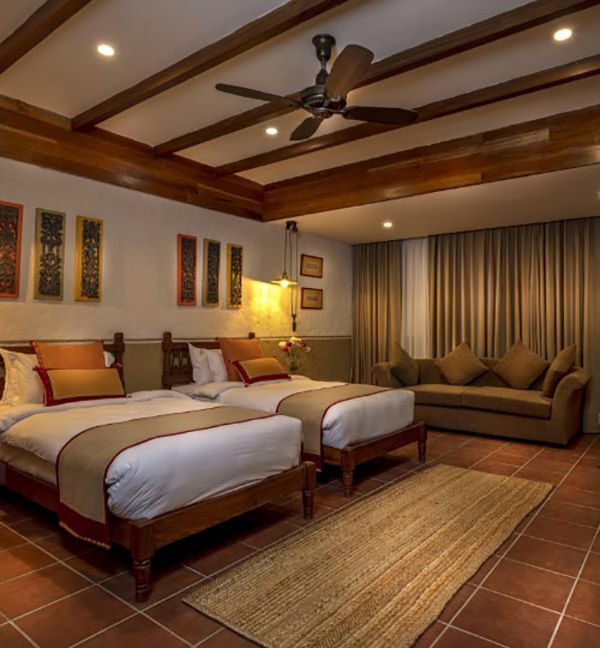 These rooms are available in double or twin sharing basis, well-lit with natural light and large windows. 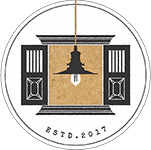 They provide the traditional comforts of noble residences in Nepal, wit beautifully crafted furniture. Further, these rooms have a private balcony where you can catch the sunset skies over the urban skyline of Kathmandu. The Executive suites gets its inspiration from Kailashkut Bhawan, an artistic palace built by the Lichhavi King Amshuverma. 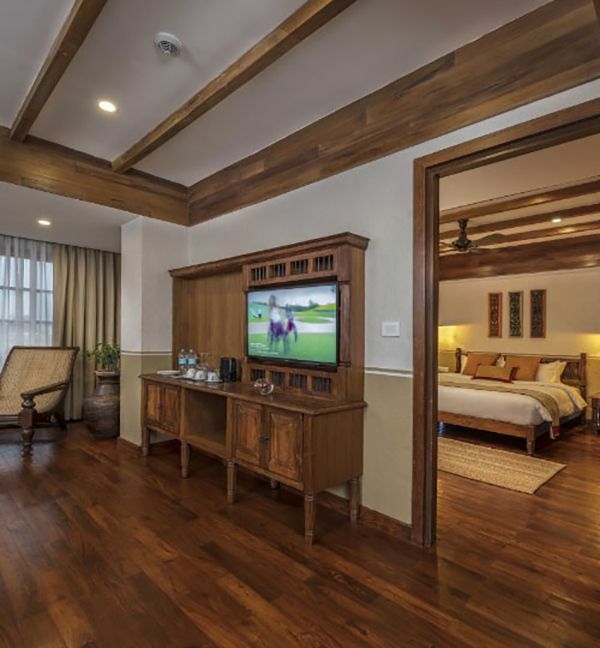 The two executive suites are an ode to the golden period of Nepal, and the Lichavvi dynasty, names after 2 of the 3 courtyards of the vedic Tripura style palace. 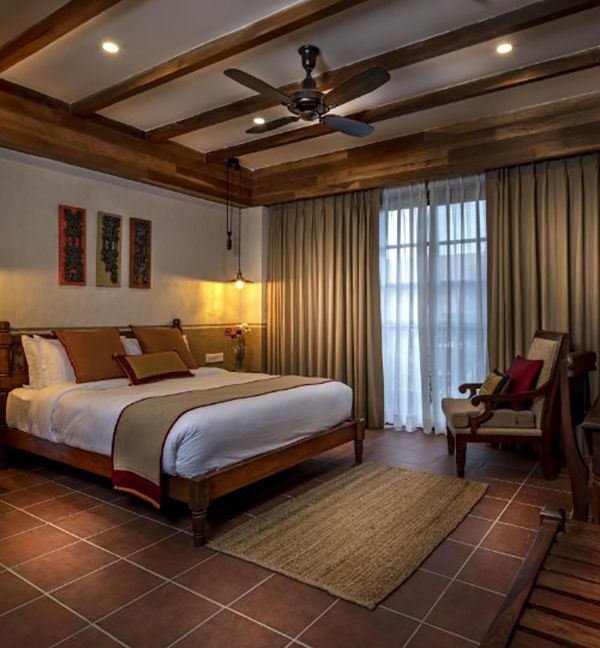 The Kailaishkut suite is spread over 630 square foot, has a separate living room area, private balcony, relaxing Jacuzzi and premium spa products in the room. I loved it Very friendly staff, they went above and beyond. Loved the experience I will come back. What makes this place really stand out is the smile and wonderful service. After travelling three weeks through India and Nepal, staying in your hotel was a delight! Compliments to all staff for being so friendly. Hope to return! After 3 weeks finally a hot shower! Thank you for the good care. Amazing facility with the friendliest staff ever! Many thanks to the great staff that they work here. I am a frequent visititor to Kathmandu & this has been the best property I have been too. It feels like home!